On April 27, 1522, two armies faced each other at dawn across a soggy field ready for battle at a manor park of Bicocca, a small town six kilometers north of Milan. On one side stood the combined forces of France and Venice, numbering more than twenty thousand troops, including the mercenary captain, or condottiero, Giovanni de’ Medici’s Black Bands and sixteen thousand dreaded Swiss mercenaries. For two centuries, Swiss companies were the scourge of the European battlefield, overtaking superior forces with deadly twenty-one-foot steel-tipped pikes and precision formations that could run down heavily armored knights—as the doomed duke of Burgundy could attest to—making them the most sought-after private armies on the market. Opposing the combined army were the comparatively meager Spanish imperial, Milanese, and papal forces, which numbered only sixty-four hundred but included landsknechts, or German mercenary pikemen. The Swiss companies and landsknechts were more than mere business rivals and held special contempt for each other. Holy Roman Emperor Maximilian I had formed the first landsknechts regiments several decades earlier and patterned them after the Swiss companies, which regarded them as cheap copies purloining their brand. Consequently, no quarter was given when these mercenary rivals met on the battlefield. The attack commenced at dawn. The French advanced on the outnumbered Spanish imperial forces with two columns of Swiss mercenaries, numbering a few thousand each, bearing down on the landsknechts and the Spanish arquebusiers—soldiers using a predecessor of the musket—who stood behind a sunken road and an earthen rampart. As the Swiss advanced, their French masters ordered them to halt and wait for the French artillery to bombard the imperial defenses first, but the Swiss did not. Perhaps the Swiss captains doubted that the artillery would have any effect on the earthworks; perhaps the Swiss did not trust the French, owing to an earlier pay dispute regarding their contract; perhaps it was the aggressive Swiss push-of-pike strategy that advanced without support of firearms; perhaps it was rivalry between the two Swiss columns, one from the rural cantons and the other from Bern and urban cantons; or perhaps it was their “blind pugnacity and self-confidence,” as a French eyewitness later remarked. Either way, the Swiss moved swiftly across the open field without regard for consequence. As soon as the Swiss were in range of the enemy cannons, they began to take massive casualties. With nowhere to go but forward, they moved toward the Spanish positions but came to a deadly halt when they reached the sunken road that acted as a ditch and the tall rampart behind it. Atop that rampart were the landsknechts, who mercilessly attacked their trapped rivals, while the arquebusiers fired downward into the sunken road, massacring the Swiss. Retreating back across the field, they lost more men to cannon barrage. By the time they reached French lines, they had suffered more than three thousand casualties, including twenty-two captains and all but one of the French commanders who accompanied the Swiss assault. The battle was lost, and three days later, the Swiss abandoned the campaign altogether, marching home to their cantons and marking the end of Swiss dominance in the mercenary market. As Francesco Guicciardini, a contemporary historian, wrote, “they went back to their mountains diminished in numbers, but much more diminished in audacity; for it is certain that the losses which they suffered at Bicocca so affected them that in the coming years they no longer displayed their wonted vigour.” From this battle comes the Spanish word bicoca, meaning a bargain or something acquired at little cost. The problems of contract warfare are as timeless as the benefits. The unexpected departure of the Swiss mercenaries left their French masters powerless to carry on their campaign, and the French lost the war. Better, Machiavelli would have counseled, to have one’s own troops than to hire mercenaries, which cost the French everything. Although today’s nascent market for force is tame compared with the medieval market, the condottieri have much to teach us about how privatized warfare alters strategic outcomes. The mercenary market has long received bad press that has reified into truism. While history is replete with tragic examples of private military exploits, they are not always representative of the overall industry yet are often taken as such; hence the word myth. Before any cogent analysis of the industry’s troubling aspects—and there are many—it is first necessary to dispense with some common myths about mercenaries. Probably the most pernicious perception, made famous by Niccolò Machiavelli’s bitter pronouncements, is that they are faithless. And he would know. Machiavelli was no stranger to mercenaries in Renaissance Italy and worked with them as the minister in charge of Florence’s defenses, from 1503 to 1506. His native city suffered serial humiliations at the hands of its own mercenaries during its protracted war against Pisa. In his book The Art of War, he explains that a rift between military and civil life converts the former into a trade, turning soldiers into beasts and citizens into cowards, and makes his opinion on mercenaries plain in his famous treatise The Prince: “They are disunited, ambitious, without discipline, unfaithful; gallant among friends, vile among enemies; no fear of God, no faith with men.” While there are certainly examples of faithless mercenaries, perfidiousness is hardly unique to the private military industry, although the consequences are more lethal than in other sectors. Additionally, according to some scholars, Machiavelli’s claims about mercenaries may be overstated, ahistorical, or a misreading. In an open market for force, mercenaries are incentivized to honor their contracts in order to build a positive professional reputation and attract future business. Many mercenaries enjoyed long and esteemed relations with their employers: Hawkwood was faithful to Florence for decades, and the city honored him with a funerary monument at the Basilica di Santa Maria del Fiore; the Varangian Guard was fiercely loyal to the Byzantine emperors for centuries; and the Dutch and British East India Companies served their respective nations’ interests admirably for well more than a hundred years. Private military actors tend to meet their contractual obligations when they are held accountable and when it serves their long-term interest. 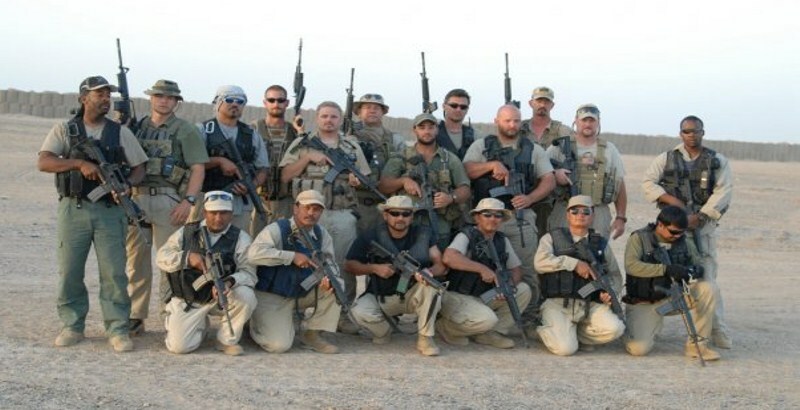 Another myth is that mercenaries are lone-wolf adventure seekers. Although there are individual mercenaries or small bands of private warriors, most of the successful private armies are sizable and sophisticated organizations: Xenophon’s Ten Thousand, the free companies of the condottieri, and PMCs such as Triple Canopy. These private armies are well organized, with clear chains of command, in-house codes of conduct and discipline, and internal machinations to handle administrative tasks such as personnel, logistics, and accounting. The condottieri formed expeditionary corporate military units made up of international personnel with itemized budgets for battle gear, compensation for loss of horse, ransom-based revenue detailed, and other costs of war. They also had company policies regarding the democratic distribution of loot, bonuses for victories, and a standardized war feast should victory be won. They even formed their own trade association of “confederated condottieri,” much like today’s International Stability Operations Association (ISOA) based in Washington, D.C. Finally, the stereotype that mercenaries are little more than murderous thugs is unfair. The marketplace tends to discipline bad mercenaries, as it did in the Middle Ages. When the famed Hawkwood switched sides one too many times during the War of Eight Saints, Bernabo Visconti of Milan passed a decree promising thirty florins to anyone who “took or killed” a member of Hawkwood’s company. Similarly, Blackwater saw its business with the United States plummet after the Nisour Square incident, and in 2009, the State Department did not renew the PMC’s contract. While these problems still haunt the private military industry today, they are still the exception rather than the rule. And those who cavil too much about ethical issues surrounding mercenaries ought not avert their eyes from the obvious. There is plenty of evidence that private armies are more disciplined and effective than public forces in Sudan, Somalia, Myanmar, Belarus, Chad, Zimbabwe, the DRC, Iraq, Afghanistan, Guinea, Kyrgyzstan, the Central African Republic, Tajikistan, or Côte d’Ivoire, to name a few. Some even await the day when the United Nations hires qualified PMCs as peacekeepers, a rational choice given that peacekeeping needs rise each year while national troops available for such missions dwindle. Today, such missions are often undermanned and staffed by soldiers from poorer countries, who are often badly trained. Private military force is a high-utility commodity, which is why the market for force has thrived for most of human history. Myths aside, there are profoundly disturbing problems with an industry that is paid to kill. Many cringe at linking armed conflict to profit motive, because it incentivizes private armies to prolong and expand war for financial gain. Worse, markets fail, and in the context of war and the market for force, failure may mean impunity for mercenaries—violence without constraint—because no credible police force exists to control them. Under these conditions, mercenaries devolve into marauders and prey on the weak for survival, as was often the case in the Middle Ages. Moreover, the market for force does not behave like other markets. A surplus of military supply does not necessarily correspond to lower private military prices or insolvent weaker mercenary companies. Instead, unemployed mercenaries can weather tough economic times by plundering local lands to feed themselves. This makes security a commodity that is not strictly demand-driven but also self-directed, generating bloody market distortions. Pope Urban V described marauding mercenaries in the fourteenth century as a “multitude of villains of various nations associated in arms by the greed to appropriate the fruits of labor of innocent and unarmed people, let loose to every cruelty, to extort money, methodically devastating the countryside.”6 When mercenaries fight in times of war and pillage in times of peace, for civilians, the line between war and peace may disappear. Even when the market for force is functional, security is a commodity for which supply can artificially create demand through extortion. Like a mafia, a private military organization can arrive at a community and extort payment in exchange for not attacking it. The condottieri made a lucrative living this way, as the most common response for communities was to purchase reprieve. In 1342, Werner of Urslingen and the Great Company made a tour of Italy and successfully extorted payment from Cesena, Perugia, Arezzo, Siena, and several Lombard communes. Eleven years later, the Great Company, by then numbering some ten thousand, returned under the leadership of Montreal d’Albarno, whom the Italians called Fra Moriale, and extracted tribute from Pisa, Arezzo, Florence, Siena, and the Malatesta of Rimini. True to their name, condottieri entered into a no-sack contract with local cities. The October 1381 agreement between the city of Siena and John Hawkwood stipulated that his company would not attack the city and its local lands for eighteen months in exchange for four thousand florins. Often, it was cheaper for both mercenary and target to negotiate a price for peace rather than face the expenditure of a siege and sacking. However, such payments only encouraged more mercenaries, either as racketeers or as hired defenders of cities, revealing the true nature of the market for force: expansion. Consistent with the logic of both markets and war, competition in the market for force escalates until one market actor emerges victorious with the monopoly of force, eliminating all rivals. This produces constant war, since monopolies are difficult to attain. 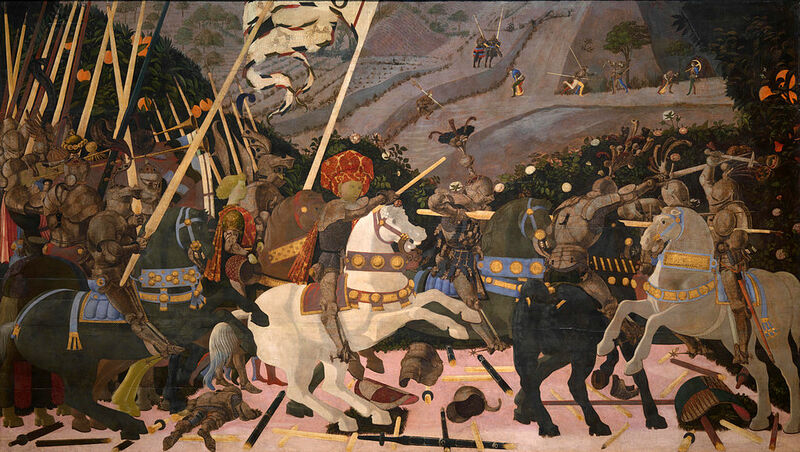 In the late thirteenth and early fourteenth centuries, Florence and its mercenaries were continuously at war with someone: Pisa (1362–1364), the pope (1374–1375), and Milan (1389–1390, 1399–1400, 1423–1424, 1430). Luckless Siena was obliged to buy its freedom from enterprising condottieri thirty-seven times between 1342 and 1399. This endless fighting attracted more mercenaries from every corner of Europe, compounding the problem. Inversely, wars fought by mercenaries evolve into conflicts of amplification. Unlike states, private armies can recruit soldiers from around the world and are not restricted to limited labor pools, such as a state’s citizenry. In fact, battle between mercenaries can enlarge the labor pool as the lure of well-paying contracts, rich booty, career progression, and other opportunities attract private warriors from around the world. Medieval mercenaries in northern Italy hailed from all over Europe, just as PMCs in Iraq and Afghanistan are packed with foreigners, and intrastate conflicts in Libya and Côte d’Ivoire have attracted mercenaries from all over Africa. During the Thirty Years War, some forty thousand Scotsmen—perhaps 15 percent of the total males in Scotland—journeyed to central Europe to fight for both sides of the conflict. As in all markets, supply seeks demand, and supply in this case is private warriors, and demand is armed conflict. Unconstrained by nationality in their recruitment, private armies can endure wars of attrition, as long as there is a paying client and enough willing men-at-arms on the planet. Such conditions only propagate private warfare. More war means more mercenaries, which gives private armies more resources to ply their trade, fostering more war. This self-feeding and ever-escalating cycle of violence generates the perpetual war that is the market for force.